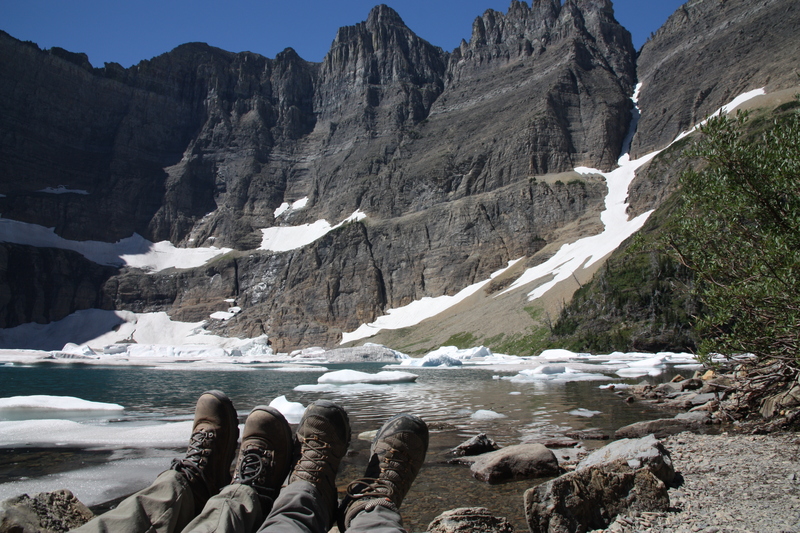 Taking a break and enjoying the view after the long hike up to Iceberg Lake. Glacier National Park, Montana. Though the nature of my blog tends to focus on how God reveals himself to us through his creation, we also need to be reminded that we are called to a mission of evangelism. As Jesus command his disciples in Mark 16:15, “Go into all the world and proclaim the gospel to the whole creation,” so too are we called to proclaim the gospel to the world. “Everyone who calls on the name of the Lord will be saved.” This is the good news, the gospel, that Christians have been blessed to know and believe. It is also a message that needs to be shared in order for it to be effective. Today’s passage reminds us that the only way others will hear of Christ, believe in him, and actually be able to call on his name and be saved, is if there are “preachers” who are sent. When Paul writes about “those who preach the good news” I doubt that he is only referring to the ordained ministers who get up in front of a congregation every Sunday to preach a sermon. I am certain that Christ’s imperative in Mark 16:15 to, “go into all the world and proclaim the gospel,” was not just a one-time command that applied only to the disciples. As Christians we are all sent to proclaim, to preach, the good news of Jesus Christ to a lost world. Our mission field could be as close as the house next door or as far away as “the ends of the world.” The next person to “call on the name of the Lord” could be a co-worker in the cubicle across the hall or an orphan in some distant land. But, whatever your calling may be, make sure that yours are some of those beautiful feet. This entry was posted in God is Revealed... and tagged Christ, Christianity, Epistle to the Romans, Evangelism, Glacier National Park, God, Gospel, Iceberg Lake, Jesus, Lord, Many Glacier, Missionary, Missions, Montana, Preach, Preaching, Romans 10 by Todd D. Nystrom. Bookmark the permalink.